2020 KZ Spree Connect 231BHSE is a Double over Double bunkhouse with a front Murphy bed and outside kitchen. 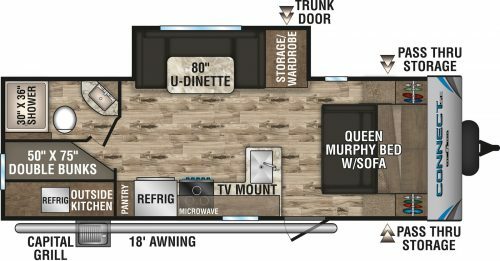 When you step inside the 231BHSE to your right is the master bed converting into a Sofa for extra sleeping. 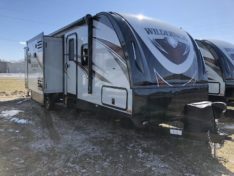 The main slide out offers a u-shape dinette and wardrobe space. 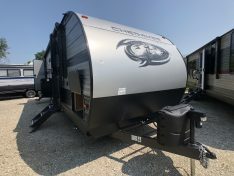 Across from the slide out is the large kitchen with a 10 cu ft refrigerator, 3 burner cooktop, and plenty of workspace. 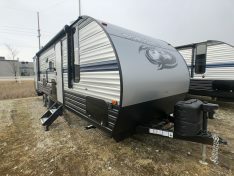 The Double over Double Bunks are located in the back of the 231BHSE along with the master bathroom, which offers a 30×36 shower, sink and foot flush toilet. 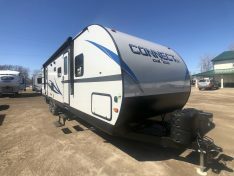 On the outside of this KZ Spree Connect SE Bunkhouse, you will notice an outside kitchen offering a grill and refrigerator and an 18ft power awning.